I don't know about the rest of you, but I am very excited about some of the upcoming books to movies headed for theatres in the next year. 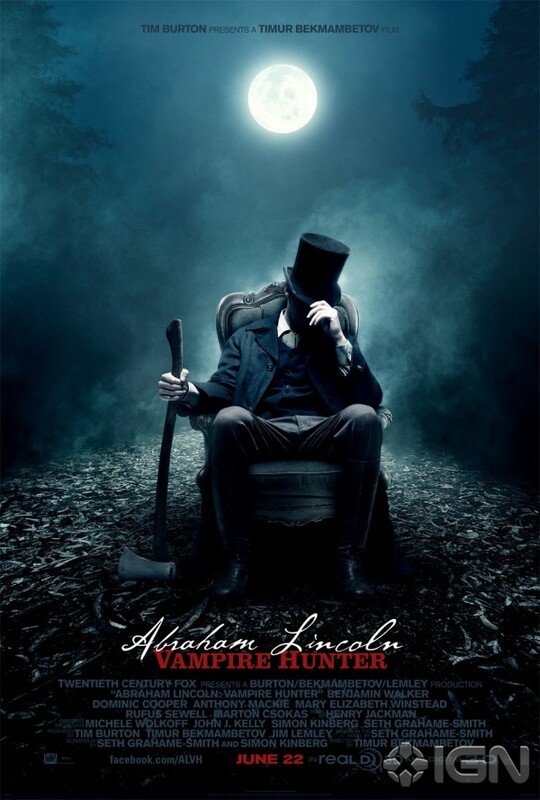 Abraham Lincoln: Vampire Slayer based on the novel by Seth Grahame-Smith is due out in theatres June 22, 2012. Starring Benjamin Walker as the 16th president of the USA, this film is co-produced by Tim Burton and directed by Timur Bekmambetov and reboots history to bring Lincoln and a vampire threat together. One of my favorite actors, and fellow Texan, Alan Tudyk will also add his tremendous skill to this film. Harry Potter star Emma Watson joins forces with Logan Lerman who played Percy in the movie adaptation of The Lightning Thief to bring another fabulous YA book to the big screen. Stephen Chbosky has transformed his Perks of Being a Wallflower into a film sure to leave movie-goers thinking long after they've left the theatre. In Fat Kid Rules the World, K.L. Going penned a moving story about an outcast finally finding his place in the unique world of punk music. The film, directed by Matthew Lillard debuted at SXSW in Austin, TX and received a warm welcome. While the movie is currently unrated and looking for a major distributor, rumor has it that it should release into theatres in December 2012. As the movie adaptations of the Lord of the Rings trilogy made evident, Tolkien's world is well-suited to the big screen. Fans of Middle Earth will get to revisit old friends and make new ones when The Hobbit: An Unexpected Journey hits the screens in December 2012. The events of Tolkien's prequel to Lord of the Rings have been split into two films so there is even more adventure to come!